November the 1st, we are entering into winter and this allows for a better work with the resin, although I really need to get a new mask to protect myself well from all the chemicals I handle, specially due the photo etched process. I finally have been able to do a proper decal print, I call it a test but it is actually a valid decal. So far I did first tests with the galley decals because I knew I needed to adjust a few lines and redesign the whites in order for them to be printed properly on the new printer. 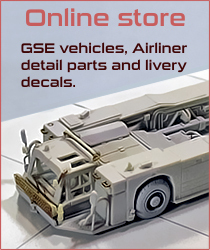 The next step is to fix the artwork for the A350 and actually test these decals on the model. I am pleased with the results, and although decals going on color surfaces other than white will requiere of the white decal underlayer first, I am sure it won’t be a big problem since most airliners are white. 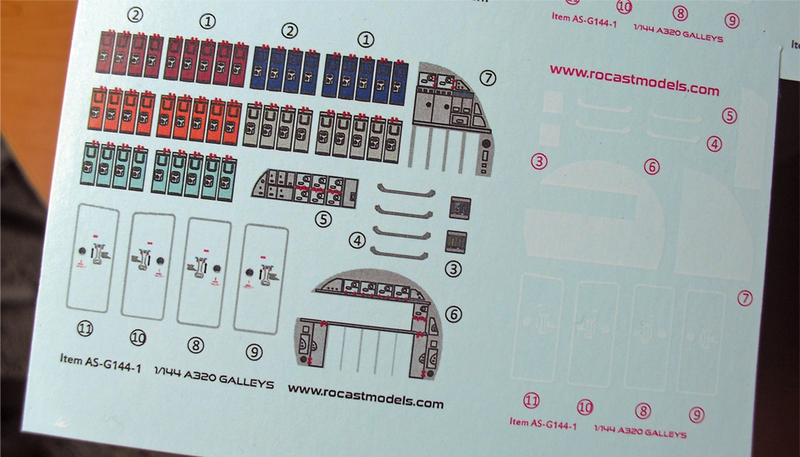 This decal carrier is thinner than those from the previous decals, but yet resistant, so these will adapt very well. The fact that the white will be a separate layer does not mean it won’t be opaque, it is still opaque as before and I will do some test prints on black surfaces to truly see the result. I am really looking forward to fix all the artworks that so much time took me to create, the sucess printing those decals has given me more courage to keep designing more liveries in the near future. Set the goal to have available the first 4 from the list at around next Wednesday. I also wanted to apology if anybody has contacted me recently and I haven’t given a response back. I found out today (thanks to Frank) that the contact form module needed an update and thus I wasn’t able to receive messages for some time, I ask to those who haven’t received a response from me to please try again as I have updated the form and it seems to be working now. Thank you all for your time, interest and patience!